If you have any questions or want to enquire about dates, use our form to contact Colin Pharaoh or see their website for more information. The site is mentioned in the Domesday Book, the house is 400 years old, and wonderful views unfurl across Dartmoor. It’s the sort of place where you long to pull on your boots or jump on a horse and head for the horizon. What’s more, Widecombe, home to the Rugglestone Inn, is a ten-minute walk downhill – a babbling brook, beer from the cask and chips to die for. Back at the house: seven bedrooms, two storeys and an attic, linked by a medieval stone stair (there’s room for up to four more people on pull out beds). Note the wonderful granite flags as you enter the hall, and, through the window ahead, your first glimpse of the moor. In two sitting rooms cosy with wood-burners – and a third for children – are oatmeal walls and comfy sofas. There’s a kitchen for cooks (an Aga and a separate hob), a lovely long oak table that seats 14, and a sun room with views you’ll never want to leave. Outside: lawns for children to tumble on, paddocks all around, and a table and chairs for the setting sun. After a day fixing tees to greens (golf is close) or building castles in the sand, how gratifying to come home to fresh flowers, crisp linen and fluffy white towels. Sleeps up to 4 toddlers or young children. Minimum stay: 4 nights weekdays & weekends. 7 nights in high season. Short breaks available. Pets by arrangement. 4-night stay from £1,350. Logs £60 per week. 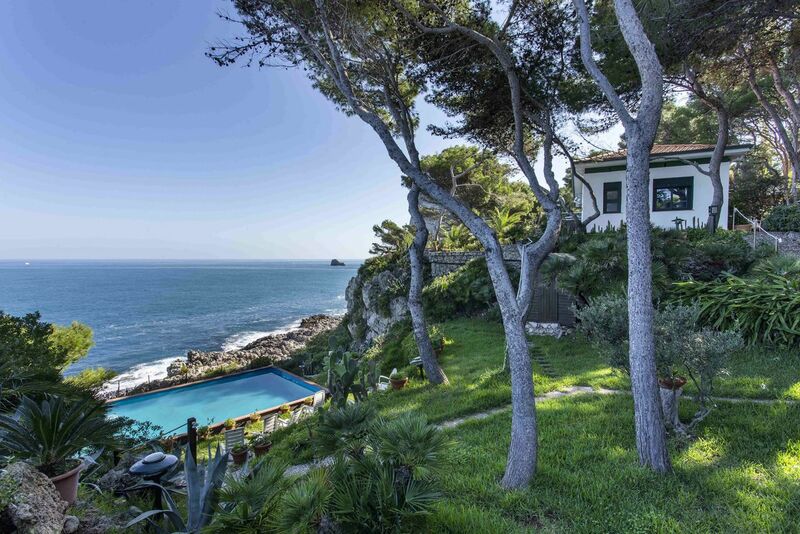 We are a family of 12, from 68 to 1 year old, and we all really enjoyed to stay in this huge, beautiful, comfy and peaceful house, with wonderful gardens and amazing landscapes and walks. Kind of paradise...! 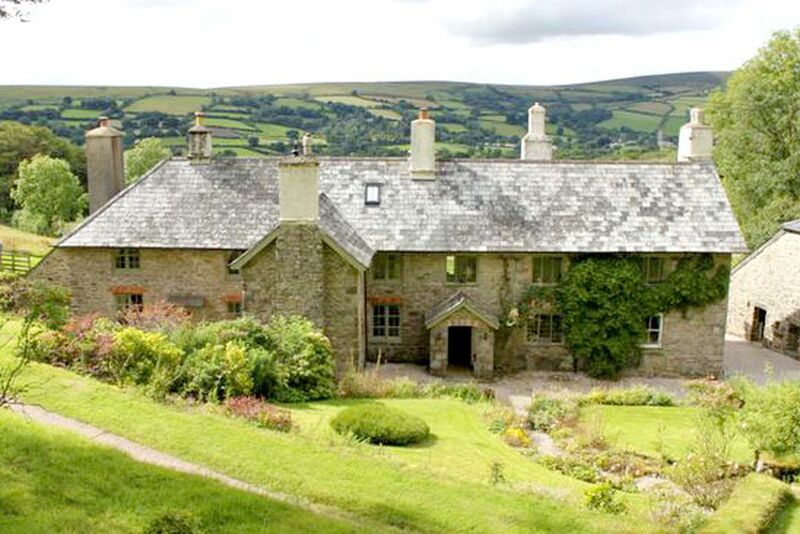 The manor house is big and solid has a great setting on the valley above Widecombe. We loved the walk to the Rugglestone Inn and the opportunity to walk straight onto open moor. The location is central to Dartmoor attractions, and the house is big and complicated enough to lose people from time to time. We needed the wood burners, but the rooms were warm and the layout with multiple living rooms worked well for our family. The entrance to the driveway was a challenge at first when approached from Widecombe, but is much easier from the moor. We had a lovely holiday and hope we can revisit soon. We have stayed at Blackslade Manor on several occasions while hosting our Way of the Runner running camp from the house. It is always lovely to be there again, very comfortable, clean and well equipped, and the location is unbeatable. From the house you can walk/run out onto the moor without setting foot on a road, and the whole atmosphere is one of being nestled in the heart of the moor. It has the added bonus of being in walking distance from the Rugglestone Inn, one of our favourite pubs, a classic moorland Inn. The famous Rugglestone Inn is just a 10 minute walk down hill to the village of Widecombe. They serve great food, great beer and all with a friendly smile. It's best to book a table and don't forget to mention where you heard about them. The thriving small town of Ashburton is only a 10 minute drive away. It has some excellent specialist shops, tea rooms and plenty of antique shops. It makes a great day out. If you're into outdoor adventure, then why not try the River Dart Country Park. Many outdoor activities including kayaking, zorbing, high ropes course, assault course and much more. Great for children, teenagers and adults. If you want larger shops and supermarkets, then visit Newton Abbot, about 20 minutes drive away. If you're into big mega-market style shops then you must visit Trago Mills. They sell virtually everything and there's also a children's fun park. They have some amazing prices and even their own petrol station, which is the cheapest for miles around. The walking around Dartmoor is fantastic and you can walk straight out of our garden and onto the moor. However you should visit the biggest Tor for miles around, Haytor, there's also a visitor centre which is worth a look.